This morning, knowing that I’ve got a hospital appointment that I’m dreading tomorrow, my cousin Ed sent me this quote with the verse Romans 5:3-6, “We can rejoice too, when we run into problems and trials, for we know that they help us develop endurance. 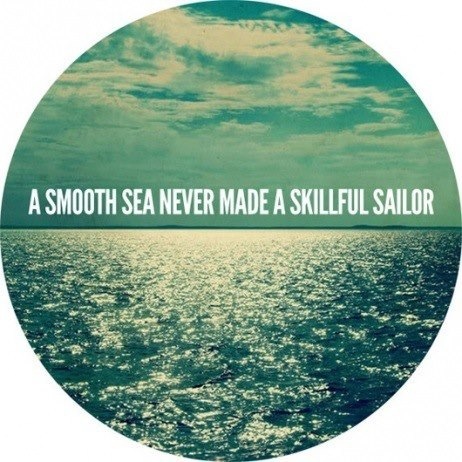 And endurance develops strength of character, and character strengthens our confident hope of salvation. And this hope will not lead to disappointment. For we know how dearly God loves us, because he has given us the Holy Spirit to fill our hearts with his love. When we were utterly helpless, Christ came at just the right time and died for us sinners”. I needed reminding of that today and wondered if you did too? 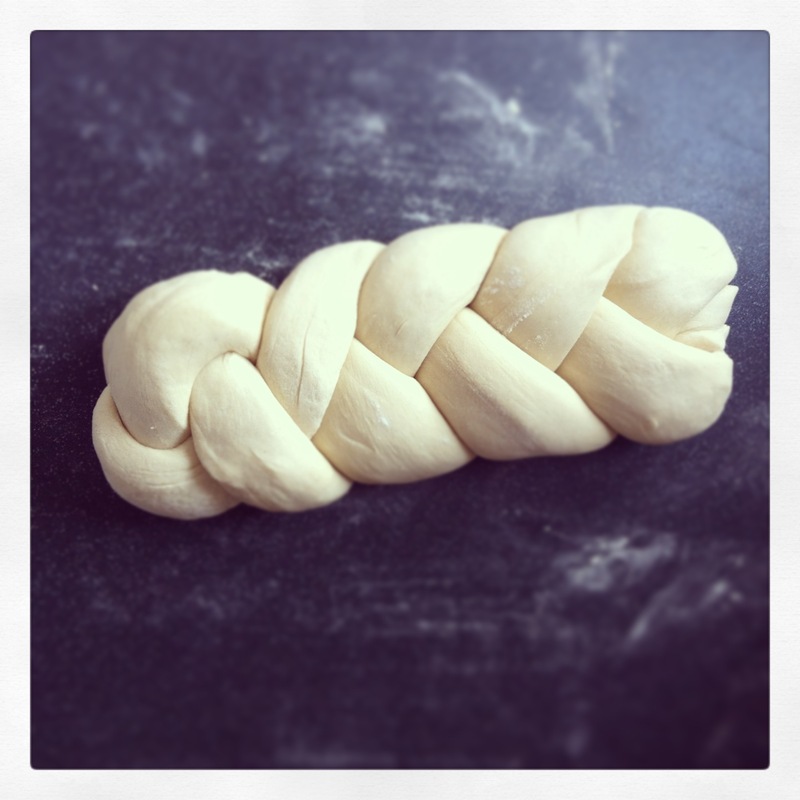 Spelt flour and milk plait. Don’t ask me why, but I quite enjoy experimenting in baking with different flours, and spelt was the next in line on my floury culinary adventure. 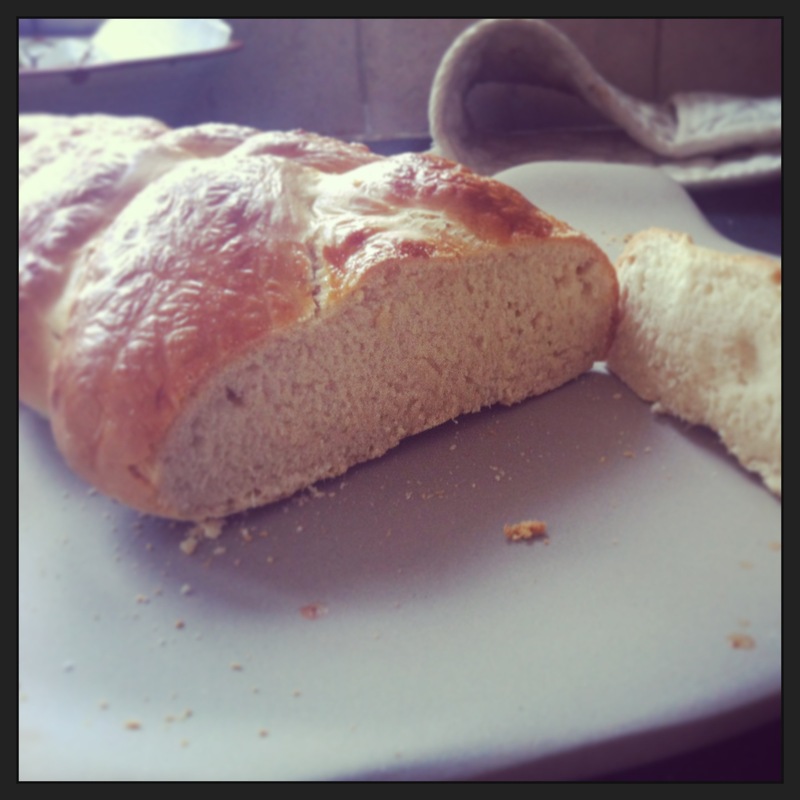 Seeing as my sister was visiting from Japan I thought I’d do a ‘fancy’ loaf to go with lunch on the day she arrived. 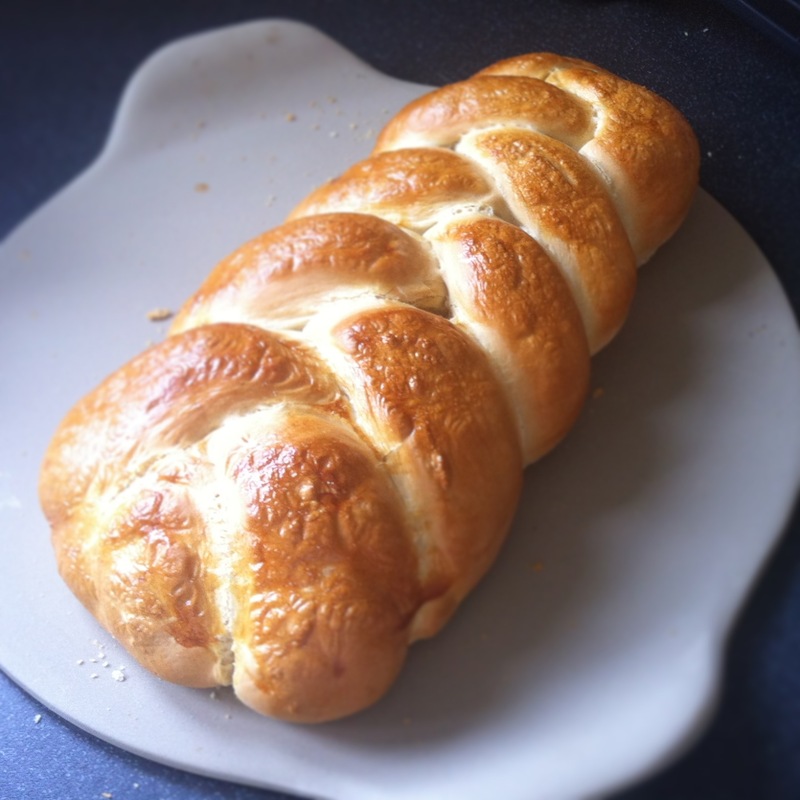 Nothing says ‘welcome’ like the smell of freshly baked bread! Pre-heat the oven to 180oC (fan assisted). Mix the yeast with a couple of tablespoons of the warm milk and leave to activate for 15 minutes. Mix the flour and salt in a large bowl then add in the yeast mixture and milk, before working in the soft butter. Cover the bowl with clingfilm and leave to rest for an hour. After an hour knead the dough on a floured surface before cutting into three roughly equal parts and rolling into long sausage shapes. 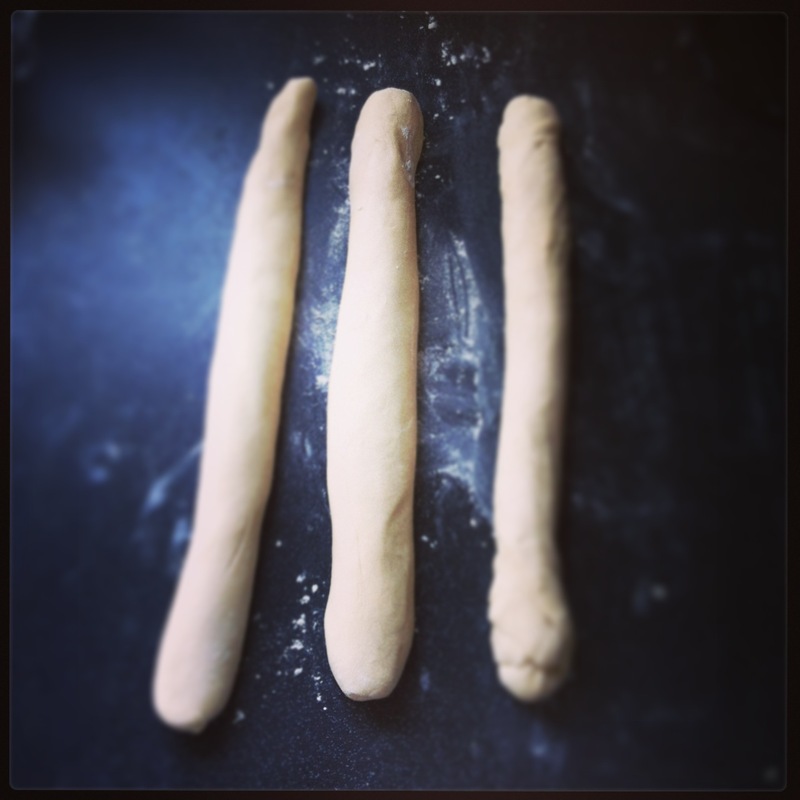 Pinch the ends of the three sausage shapes together and start plaiting. Pinch together at the other end and tuck the ends underneath to finish. Move onto an oiled baking tray, brush with the egg and sprinkle with some seeds if you’d like some extra crunch (I didn’t bother). Cover with cling again and leave to rise for about 25 minutes. Bake for about 30-35 minutes until it sounds hollow when tapped on the underside and is temptingly golden on top. Try to resist cutting into it until it has been left to cool for about 15 minutes. Enjoy! The faith is in the asking. You’re in a restaurant and ask the waitress for a glass of water. You pull up into a garage and ask the mechanic to change a tyre. You go into a shop and ask the assistant if they have that beautiful top in the window in your size. You look pleadingly at your toddler and ask her to help tidy the ridiculous amount of toys she has pulled out of the toy box and left strewn around the house. In every question we ask, regardless of who we’re asking and what the question is, there is always an element of faith required. If we didn’t have the slightest bit of faith that we would get a response to our question we wouldn’t bother asking. I have been thinking about this a lot lately in relation to a specific scripture; James 5:14-15. Over the last couple of months our fellowship has been sick. Really sick. I can’t think of one family who haven’t been ill, and I’m not just talking about a little sniffle here and there. I’m talking about prolonged and recurring sickness, slipped discs and heart issues to name but a few. Painful and ongoing trials that are wearing people out physically and emotionally. There have been too many instances of sickness for this to be coincidence. This is something far greater and far more exciting. This is a spiritual attack. Exciting? Yes, exciting. As a fellowship we sense we are in the midst of a new season of growth and blessing, from welcoming new members into our congregation to the real possibility of finally having a building we can minister from on a 24/7 basis rather than just a Sunday morning. Full Life Church are a threat to the powers and principalities in the spiritual realm and the battle is rife. Boy, are we feeling it at the moment, but it means we are heading in the right direction and God is working through us for the development and growth of His kingdom here on earth. As a congregation we are very aware that this is more than just physical and that although the victory is already ours, we must keep our eyes fixed on the Lord. In biblical times oil was commonly used as a healing agent (Luke 10:34). However today, the oil itself is merely a symbolic reminder of God’s healing power. In the application of the oil and accompanying prayer, we make an outward confession that we are believing and trusting in God for healing. I felt that we, as the pastors of the church, should go and offer to anoint our suffering church family members. After all it is biblical and as the leaders it is our responsibility to do all we can to evoke healing and restoration to the suffering in our congregation right? WRONG! Re-read the passage. It says, “You should call for the elders”. The FAITH is in the ASKING! The faith is in YOU asking. By YOU contacting your church elders and asking them to come and anoint you with oil YOU are demonstrating to God that YOU believe that He can, will and already has, healed you. By His stripes you ARE healed. Wherever you are reading this in the world and whichever fellowship you are a part of the message is still the same. Have faith, believe it, receive it, and call your elders!